Ole Miss basketball is officially back in Oxford on Tuesday night as the women’s basketball team tips off its regular season against Norfolk State. The Rebels are looking to open their season with a notch in the win column as well as improve upon a disappointing 2017-2018 campaign that ended with a 12-19 overall record and a dismal 1-15 last-place finish in the SEC. Norfolk State, on the other hand, is hoping to build off of its 18-11 record last season. They return three of their top four scorers from last year, including sharpshooter Alexys Long, who led her conference in three-point shooting percentage while averaging 10 points per game. 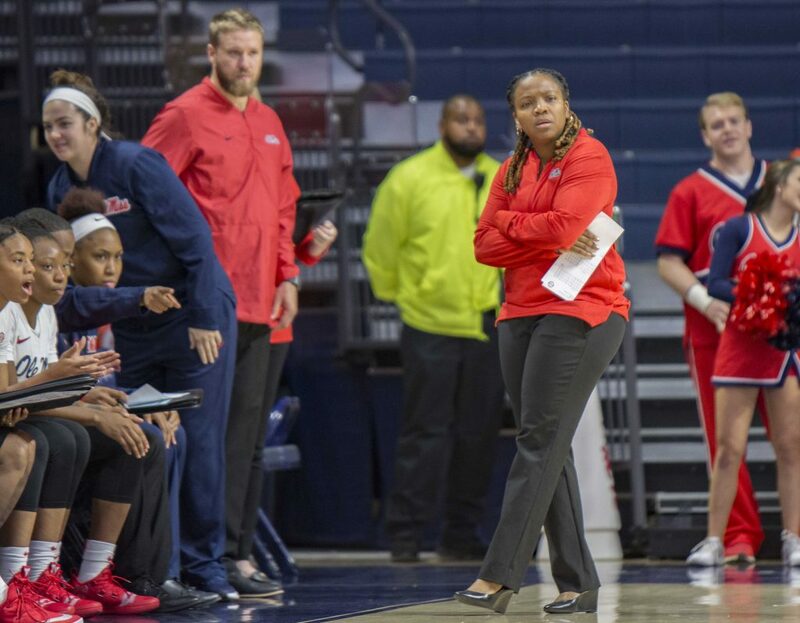 Tuesday night will mark Yolett McPhee-McCuin’s first regular season game at the helm of the Ole Miss women’s basketball program. McPhee-McCuin is fielding a team that includes nine new players who will be suiting up for their first regular season game as Rebels. The new coaching staff may look to experiment with the team’s depth early in the season to get a glimpse of the mostly new roster. “Everybody on the roster brings something special,” McPhee-McCuin said following the team’s lopsided exhibition victory over Lemoyne-Owen on Friday. One newcomer suiting up for the Rebels is redshirt senior La’Karis Salter, who is expected to make an immediate impact at Ole Miss this season. Salter transferred from Jacksonville University where she spent last year playing under McPhee-McCuin. Salter introduced herself Friday as she led the Rebels to a 73-45 exhibition win with team highs of 12 points and six assists off the bench. The Rebels will most likely lean on their four returning players to provide a sense of stability to a team that will be searching to find its identity early in the season. One upperclassmen who is anticipated to make a big impact is Shandricka Sessom. The preseason 2nd team All-SEC guard is expected to be a factor offensively as the redshirt senior ranks 24th on the all-time scoring list in school history. Sessom is returning after tearing her ACL in the team’s seventh game last season. Before her injury she was averaging 15.1 points per game for Ole Miss. Coach McPhee-McCuin acknowledged that Sessom may not be completely back to her old form just yet, but her 10 points in the exhibition game are a good sign that she is on the right track. Growing pains are to be expected with any team that ushers in a new head coach, but the biggest challenge undoubtedly will be how to incorporate nine newcomers into a system that was introduced just after McPhee-McCuin was hired in April. Being competitive early is a great place to start the season, especially before diving into a difficult non-conference slate that includes a date with perennial powerhouse UConn in the Virgin Islands in just two weeks.